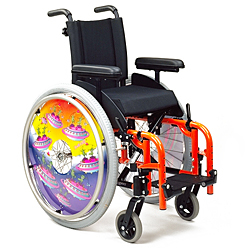 Listed here are manual wheelchairs for children, including self propelling and attendant propelled. 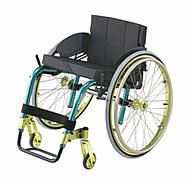 Wheelchairs with other features are also included, such as wheelchairs with tilt-in-space, a stand-up function and capabilities to accomodate growing children. 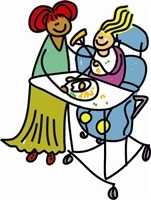 It is very important that the occupational therapist and/or the physiotherapist working with your child are involved in the choice of wheelchair. 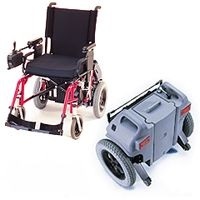 They can advise on which type of propulsion (self propelled, attendant propelled or powered) best suits your child's needs, as well as on positioning: e.g. 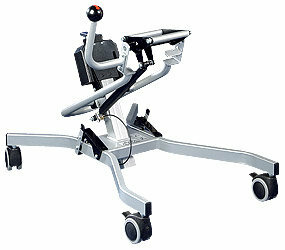 encouraging head control, sitting balance and a symmetrical sitting posture. 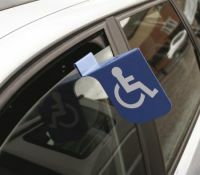 The wheelchairs listed here may be able to be provided by the NHS wheelchair service, depending on their eligibility criteria. 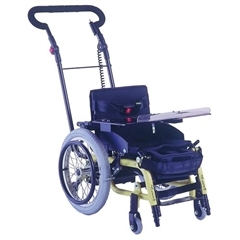 Or, you may like to read about alternative sources of funding to the wheelchair service. 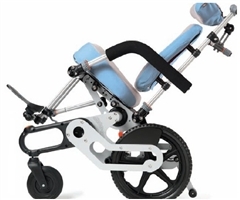 One wheelchair may not provide all the answers for your child. 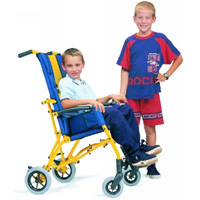 Some children may require two different types of wheelchair, each for a different range of activities - e.g. 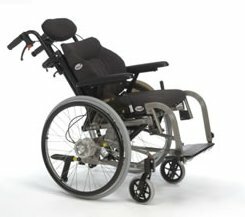 a self-propelled wheelchair for use indoors and for short distances, and a powered wheelchair for long distance outdoor use. 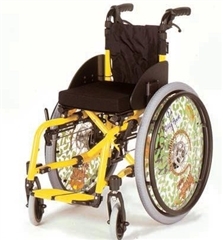 Always remember that wheelchairs need to look good as well as fulfilling your child's mobility and postural needs.